Oltec Group Trading Ltd has announced its recent accreditation as an accredited British Institute of Cleaning Science (BICSc) Training Organisation. Oltec Group received the certification after Hamid Ghadry; BICSc Council Member joined the business, and after that, OGT’s FM Director, Luanne Mason underwent BICSc’s intensive training course and a rigorous four days Training/Assessment conducted by 3ee Executive Director, Delia Cannings BICSc training provider. 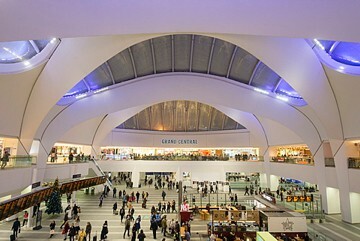 In September 2015, Oltec Group were chosen by Savills Management Resources to deliver all lines of soft services facilities management at Grand Central Birmingham, the £150 million premium retail and dining destination. L-R Warren Greatrex, Operations Manager Grand Central, Luanne Mason, FM Director OGT, Hamid Ghadry, FM Manager, Grand Central, OGT.